Ubisoft’s The Division 2 is an interesting beast. 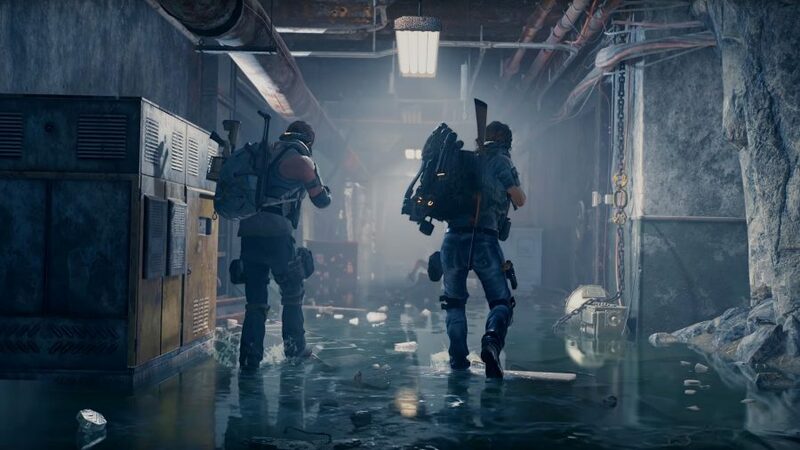 On the one hand, it’s a brilliant tactical looter shooter, that’s vying to be the best in its field with an expansive post-apocalyptic playground and hours of compelling set-piece action. On the other, it’s a confused non-statement about American politics, utilising a progression system that teeters just on the right side of tedious, while offering enough incentive to keep you pressing forward. It’s not a disaster by any means mind you, and a certain improvement on 2016’s The Division, but it is left wanting in a few key areas. 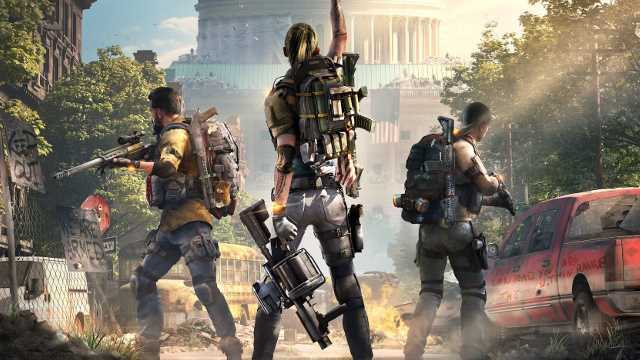 What The Division 2 does get right, is the meat and potatoes, minute to minute gameplay. Once you get past the game’s opening beats, you’re unleashed onto the dilapidated streets of Washington DC like a paragon of justice, ready to fight the good fight and wrestle back control from the three enemy factions for the city’s residents. While areas are segmented by suggested levels, you’re basically free to tackle them as you please on your way to the level cap of 30. This is all before you begin to tackle the endgame scenario, which we’ll come back to in a moment. 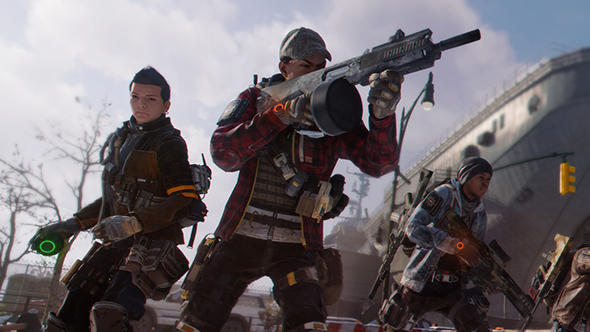 As an agent of The Division, you’re encouraged to team up with fellow agents (or players to you and me) right off the bat, and it’s clear that this game, much like the first, was designed to be experienced with friends. That’s not to say that you can’t tackle the story missions and sidequests on your Jack Jones, but it’s much more enjoyable to do so with a reliable crew, and getting your tactics right before and during a firefight is as rewarding an experience as you’ll find in the genre. The core gameplay outside of shooting bad folk and liberating good folk, revolves around the acquisition, implementation and subsequent dismissal of ever improving loot like guns, backpacks and kneepads. While this carrot and stick technique to get you through the game’s story does begin to drag, it’s just enough to get you through the 35-ish hour campaign and beyond. You’ll be able to unlock ‘skills’ like drones, turrets and other high-end equipment as you play which while fun on their own, do add a new dynamic when you’re playing with a team. Setting yourselves up to excel with a certain skill will afford you more options in an intense firefight, and the usually superb matchmaking system makes sure that you’ve always got up to three other players, ready to join the fight should you need a helping hand. Speaking of other players, the game’s PvP areas, the Dark Zones, (there are 3 of them this time around) offer a welcome distraction from the grind to test your mettle against other players. Thankfully, Ubisoft have negated imbalancing issues by including the option to start all players on the same footing, meaning you won’t just get womped by a high level player the moment you walk in. This time it’s all about skill. That and high-end loot. Skill and high-end loot. Once you do get through the main campaign, you’ll be introduced to the Black Tusk, who sweep in to dominate the city as the new main antagonist faction and Endgame enemy. What this does, is effectively reset the game, while offering a new game+ vibe. Instead of having numbered loot levels, you now have a loot score (a bit like how it works in Destiny) and get to specialise in one of three classes. What this does, is give a whole new edge to multiplayer, as you have to think about who’s playing which class and how that strategy is going to work out, making it feel like an entirely different game. 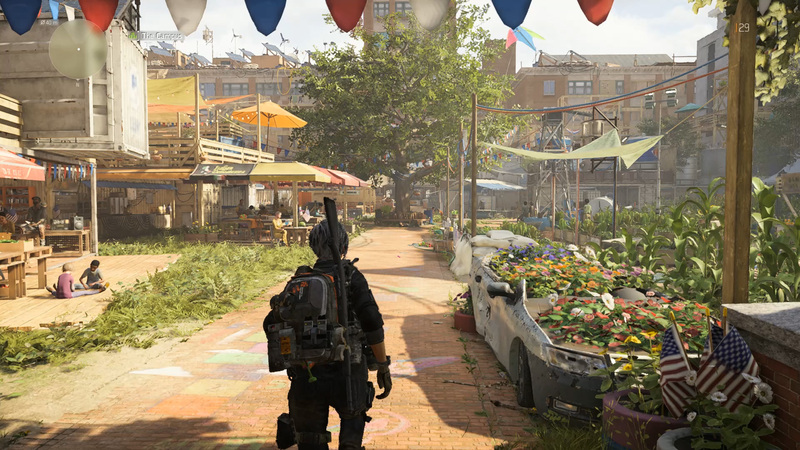 Another thing The Division 2 nails, is the game’s setting. While it’s true Washington DC doesn’t grab the attention as much as the first game’s New York City, it’s still been lovingly recreated and feels much more lived-in than its predecessor. Standout battles take place in a planetarium, the United States Senate chamber and a Vietnam war museum to name but a few, providing a beautiful backdrop to the end of civilisation as we know it. Not as many folks will be as familiar with Washington as a setting as they are with New York, but I applaud Ubisoft for diverging away from the obvious places to give us a broader sense of their ravaged game world. Sadly though, it’s not all peaches and cream. The AI can occasionally act out, leaving enemies stood in the middle of nowhere waiting for your bullets to find them, or spawning out of nowhere to get the slip on you. While some glitches are to be expected and can be overlooked, ones that deal you an unfair hand with some degree of frequency cannot. Also, the story and tone in which it’s delivered are so far removed from the pace, that it sits as a glaring misstep by the usually on-point Ubisoft. The game leans on modern political tropes like swamp draining and wall building but doesn’t deliver them with any sort of conviction, leaving it all feeling sort of hollow and juvenile. Luckily the reasons for why you’re shooting the people and doing the things all take a back-seat so you can largely ignore it, but it’s a real shame the writers weren’t allowed sink their teeth into the world building, instead of backing away so obviously away. 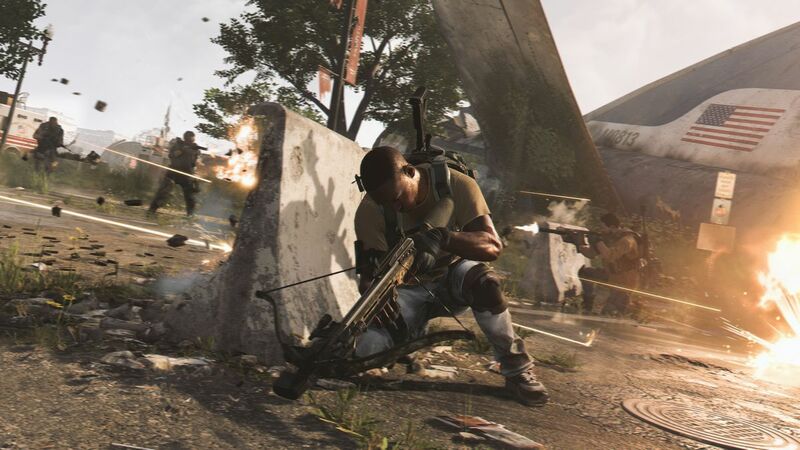 What Tom Clancy’s The Division 2 ends up delivering is a robust, if rather safe, shooter that occasionally sparks with brilliance and potential for the future. The wet story beats and rough edges are propped up by the huge vibrant setting, lengthy campaign and engaging endgame, offering enough variety to keep you playing long into its roadmap. The game isn’t perfect by a long stretch, but if Ubisoft can work their usual magic of improving thier titles over time, it could be worth sticking with this one to see where its journey goes.